Tamara Clayton, a 55-year-old mail handler at the Chicago International Military Service Center facility, was on her way to work when she was shot on Interstate 57 Monday night. (CHICAGO) — A U.S. postal worker was shot and killed while driving on a major highway in Illinois on Monday night, authorities said. Tamara Clayton, a 55-year-old mail handler at the Chicago International Military Service Center facility, was on her way to work when she was shot on Interstate 57 just after 10 p.m. local time. She lost control of her vehicle and crashed into the center median. She was pronounced dead at the scene, according to the Illinois State Police. Clayton, a resident of Country Club Hills, Illinois, had worked for the United States Postal Service since 1993. “The Postal Service is deeply saddened on hearing of this tragedy and share our thoughts and prayers with the family,” a USPS spokesperson said in a statement to ABC News. Clayton’s 24-year-old daughter, Jayla Shelton, said she wants justice for her mother. Clayton was killed about six hours after another shooting on the same expressway wounded a man and two children. A 38-year-old man was taken to a local hospital in critical condition, while a 15-year-old boy and a 12-year-old boy were hospitalized in stable condition. 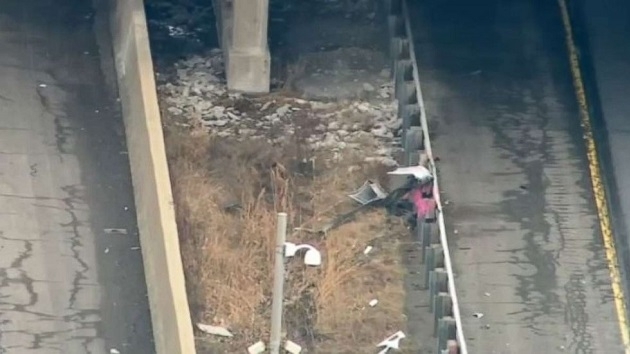 An 8-year-old girl also inside that vehicle was not shot, according to the Illinois State Police. Sgt. Jacqueline Cepeda of the Illinois State Police told ABC News the two shootings are currently being investigated as separate incidents.